CAMRA (The Campaign for Real Ale) promotes real ale and publicises where it can be found and enjoyed, while attempting to improve quality and choice. It also fights to save pubs and breweries from closure, and to preserve the character of the traditional British pub with all its cultural, historical and architectural aspects. 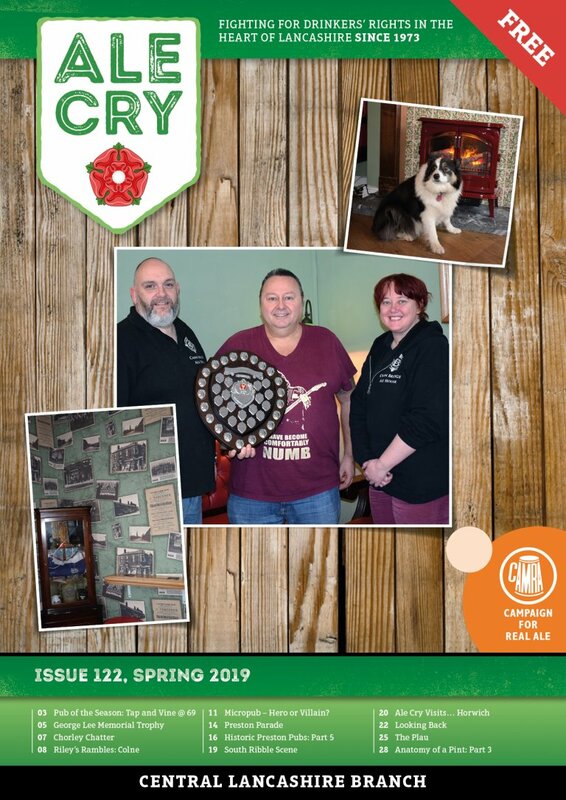 CAMRA Central Lancashire branch is the local organization that promotes these objectives in the Preston, Chorley, and South Ribble Council areas, while also covering Longridge and Chipping within the Ribble Valley. See the Branch & Area Maps webpage for a definitive map of the branch area. For more information see Branch & Local News.